A white Christmas is referred to the presence of snow on Christmas Christmas Eve or Christmas Day depending on local tradition. This phenomenon is most common in the countries of the Northern Hemisphere. 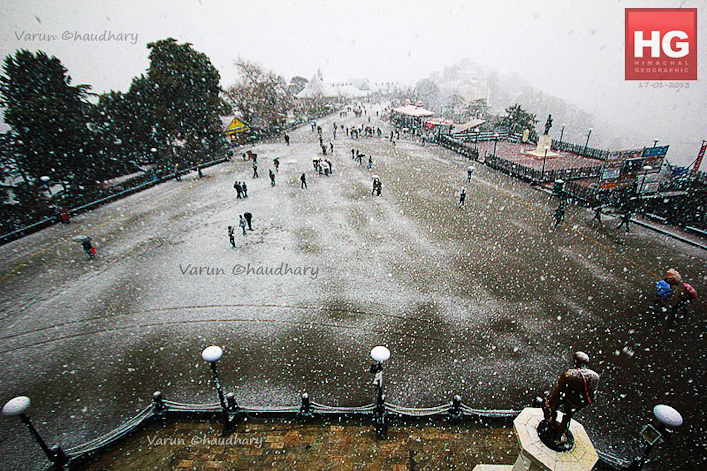 At the same time, Shimla always expects snow during the last week of December. 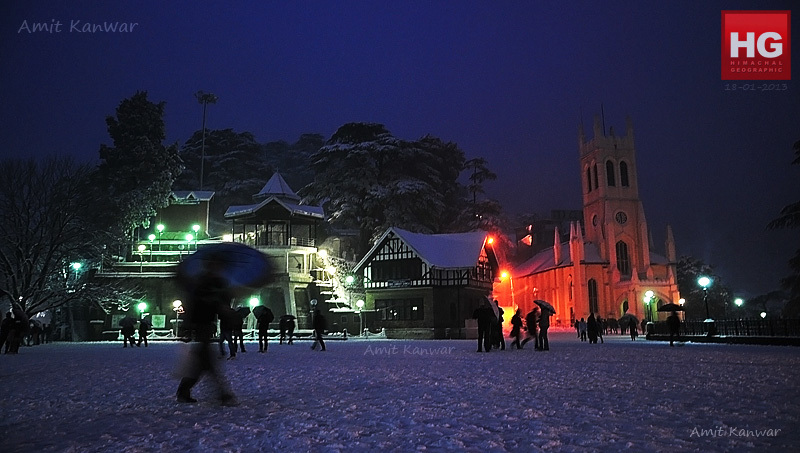 Many of the folks reach Shimla to celebrate Christmas. 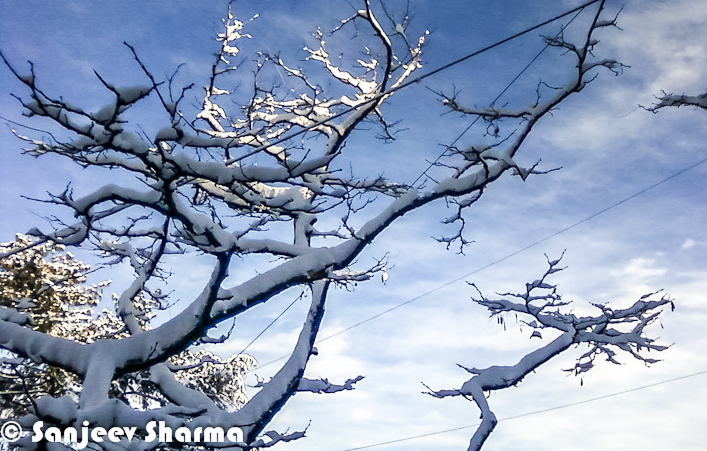 Today Shimla has got snow and it seems that White Christmas is confirmed there. What about other parts of the world and who would witness the white Christmas in 2013? The definition of 'White Christmas' varies in different parts of the world. In most of the countries, it simply means that the ground is covered by snow on Christmas, but some countries have more strict definitions. In United States, people expect think layers of snow everywhere. In fact many of the countries have defined metrics to declare if it's a white Christmas or not. In UK, white Christmas simply means a complete covering of snow on Christmas Day... In the United Kingdom the most likely place to see snowfall on a Christmas Day is in North and North Eastern Scotland. In most parts of Canada it is likely to have a white Christmas every year, except for the coast and southern interior valleys of British Columbia, southern Ontario, southern Alberta, and parts of Atlantic Canada. Most part of Canada is already white and people are excited about white Christmas celebrations. 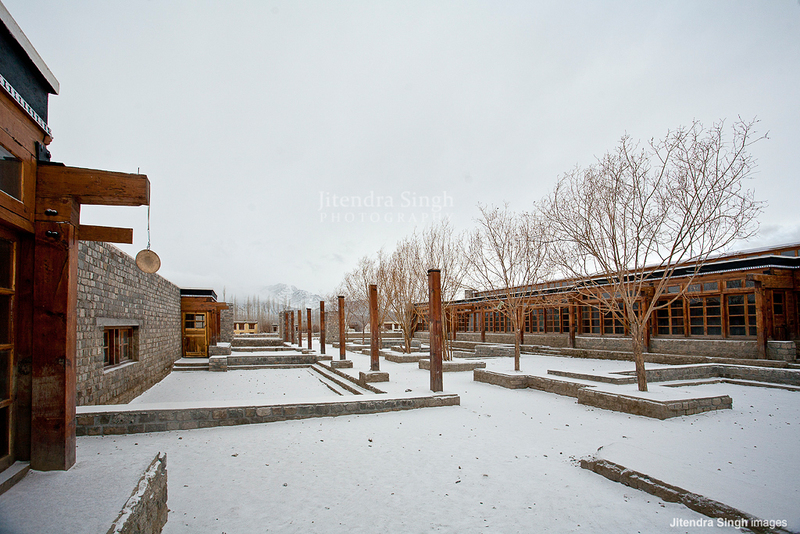 This snow in Christmas not only creates excitement during Celebrations but also adds lot of fun thereafter. 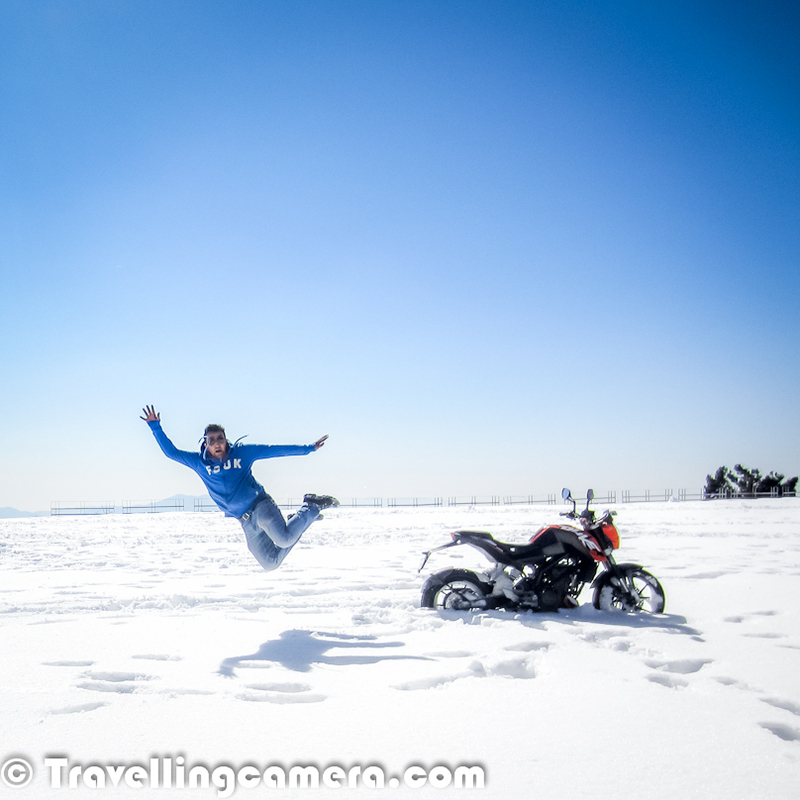 New Year celebrations with snow all around is one of the main excitement factors of White Christmas. It overall takes the excitement level high for a week at least, when most of the folks are busy in celebration Christmas & New Year. And everyone has different ways of celebrating Christmas in snow. Above photograph shows a enthusiastic biker riding on snow covered region during last week of December in Himalayan State of India - Himachal Pradesh. Although the term 'White Christmas' is usually referring to snow, if a significant hail accumulation occurs in an area on Christmas Day, which has happened in many of the areas in past including Melbourne. This results into white appearance of the landscape resembling snow cover, this can also be described as a White Christmas. 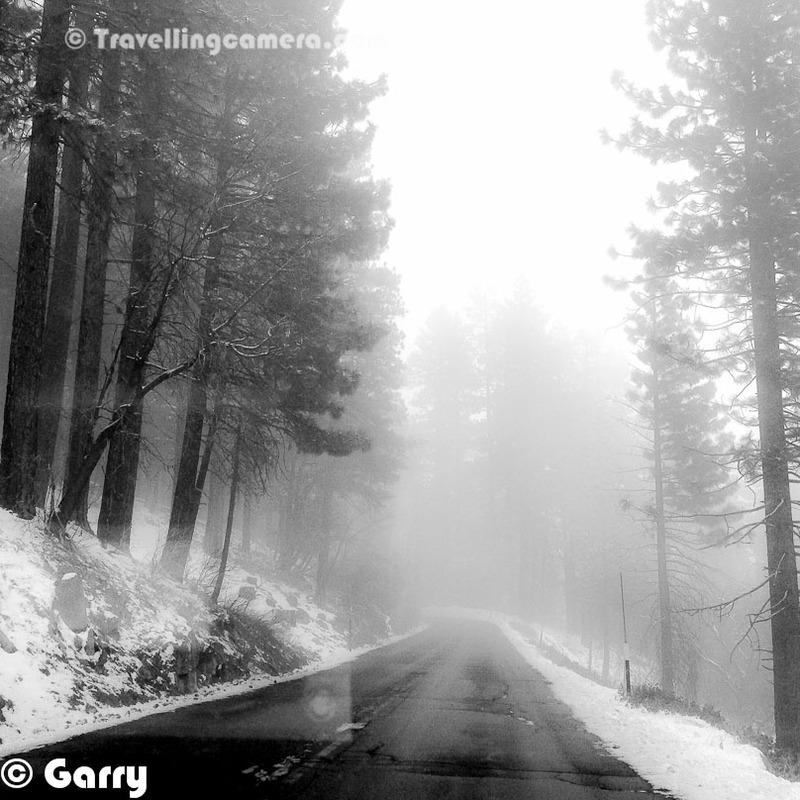 For many of us, snow is synonymous with Christmas. Christmas cards, songs and movies all portray a 'white Christmas'. During my childhood, I used to think that when hills get snow, it's called as Christmas, because in most of the movies we have seen people celebrating Christmas either on grounds full of snow or parties in glass covered halls through which snowfall could be seen outside. 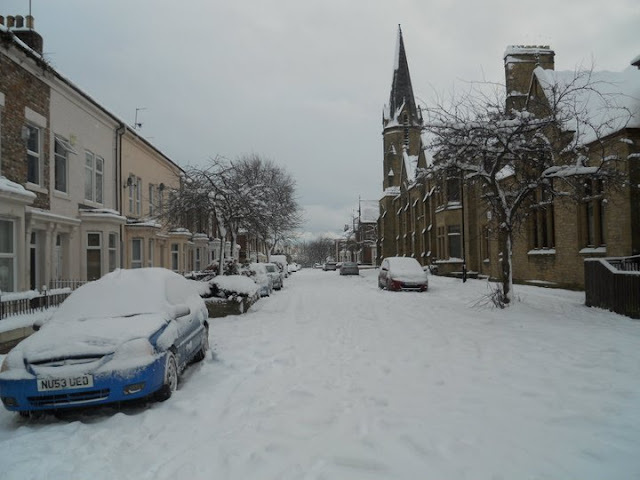 However, for most parts of the United Kingdom, Christmas is right at the beginning of the period when it's likely to snow and at times it doesn't even happen. 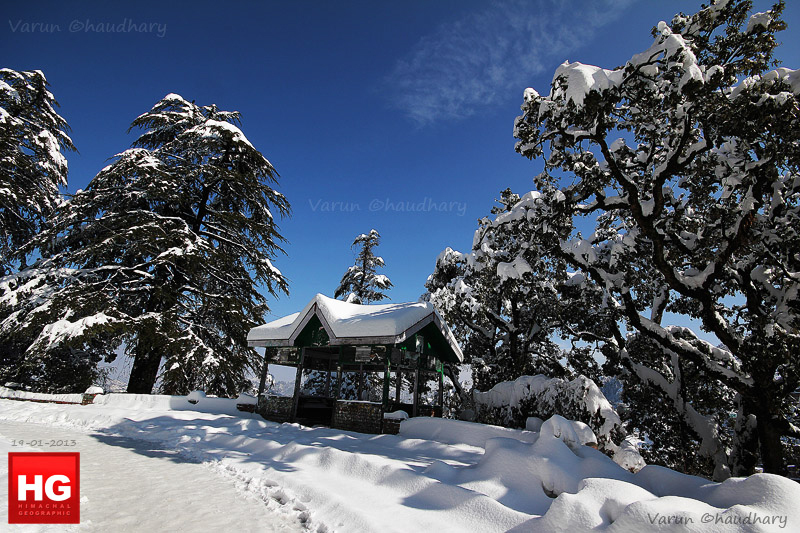 Looking at climate history, wintry weather is more likely between January and March than December and same applies to hilly regions of India. White Christmases were quite frequent in the 18th and 19th centuries and that where the expectations have set that Christmas almost every-time comes with snowfall. Over the decades, climate change has also brought higher average temperatures over land and sea and this generally reduced the chances of a white Christmas. 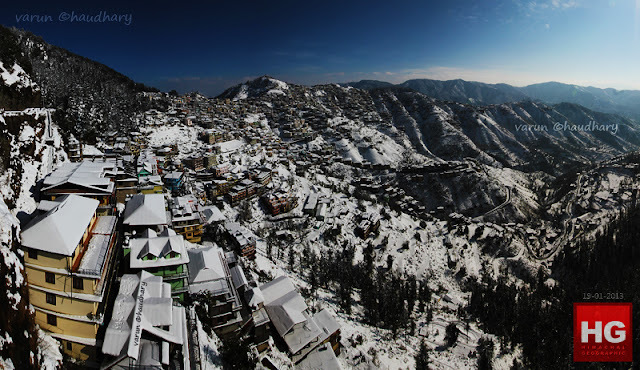 I keep a closer track of snowfall in Shimla, which is one of the main celebration destination for Indians. Shimla hardly gets snowfall in last week of December, which used to happen many years ago. 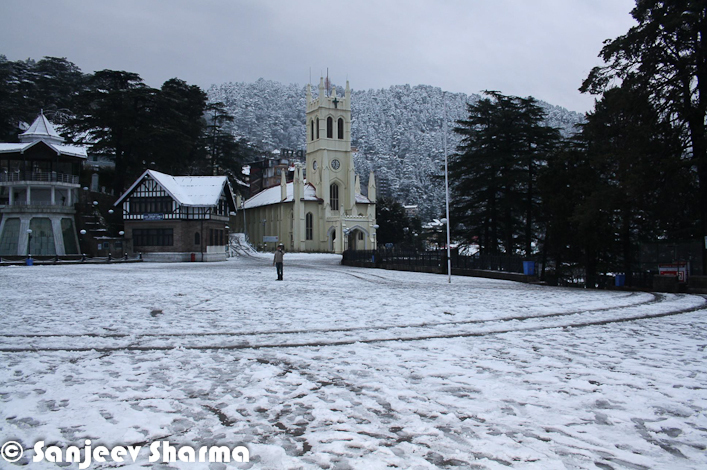 This year is very lucky that Shimla is alreadt white and folks are excited about the White Christmas in 2013 !!! In different parts of the world, people start tracking weather forecast to understand if white Christmas will happen or not. In fact, many of the local media channels start giving forecasts for different regions. 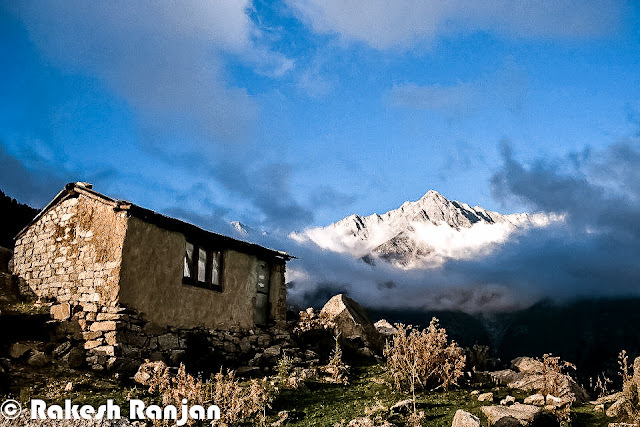 White Christmas also comes with an opportunity for Travel enthusiats to move to the locations having snow and appropriate arrangements for celebrating Christmas or New year Eves. As an example, many of the Indian folks move towards Shimla, Manali or other towns to celebrate Christmas in snow. 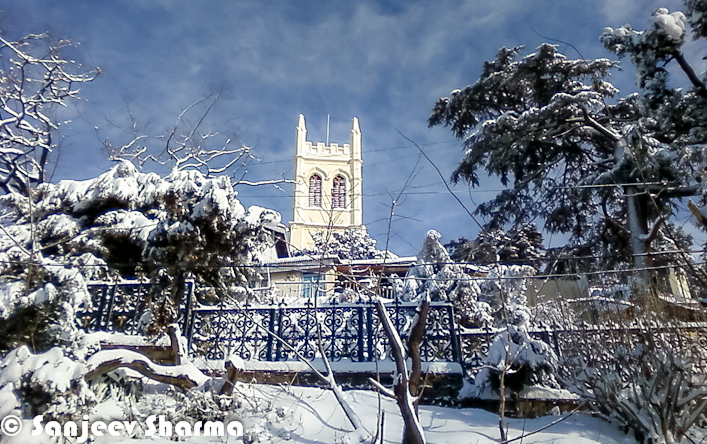 Today only Shimla has got snow and all hotel owners are excited to welcome more tourists to come to Shimla and enjoy the special festival in snow. Here we wish a White Christmas to everyone who is eagerly waiting for snow to come and add extra excitement to the celebrations. Merry Christmas !! !